At its Build 2013 conference today, Microsoft announced that developers will be receiving an Acer Iconia W3 Windows 8 tablet and a Microsoft Surface Pro. Microsoft CEO Steve Ballmer announced the former at the start of the keynote and Julie Larson-Green, corporate vice president for Windows, revealed the latter at the very end. We assume that the Surface Pro won’t come with Windows 8.1, but it’s fair to say it will be a perfect computer on which Build developers can install the preview released today. Whether you attended Build today or not, the details you need to get Windows 8.1 are here. Intel co-sponsored the giveaway, but something tells us Microsoft was rather eager to comply. There’s a question of supply here: many believe the company wants to get rid of its first-generation Surface stock to make way for the next iteration. That being said, Microsoft traditionally gives away something at its conferences. In fact, two devices isn’t exactly something unique to this year’s event. 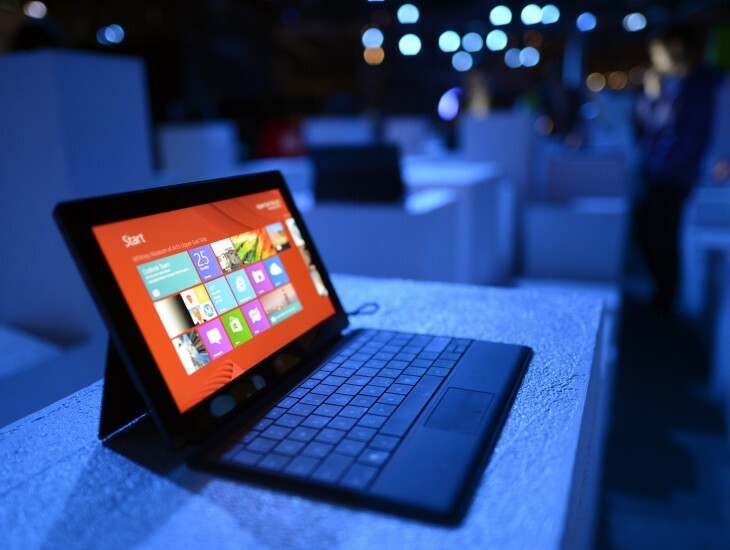 At last year’s conference, Microsoft gave attendees a Surface RT and 100GB of SkyDrive storage. Nokia’s Richard Kerris also came on stage and announced everyone would be getting a Lumia 920 to boot. Yet the focus this year was clearly on Windows, so we’re not exactly surprised both giveaways are computers that sport Microsoft’s operating system. One is a tablet, and the other is a laptop that can be used as just a tablet, which pretty much sums up the state of the PC space right now. Today is the first day of Build 2013, which runs till Friday. As always, we’ll be keeping you posted on everything Microsoft reveals during its annual conference.